Whether you are a small local business or a regional enterprise, content marketing is today’s norm and you should consider using this to your advantage. One of the best ways to start exploring and exploiting everything that content marketing has to offer is to dive into the sea of free apps and tools. It’s just a matter of finding what works for your business needs. We’re here today to take a look at some of the best free content creation apps and tools out there. Don’t waste another minute and try to fit them into your business strategy. 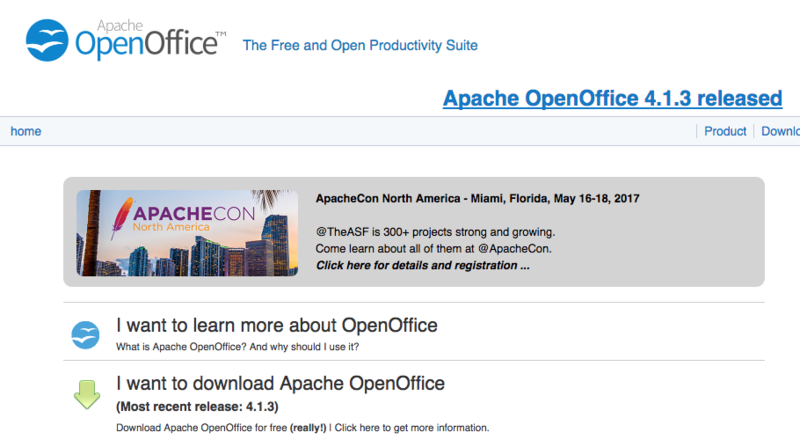 Open Office: Chances are that you have already heard about this application package. The freeware and public version of Microsoft’s own Office, Open Office allows entrepreneurs and freelancers alike to use this product package. It allows a variety of content creation possibilities such as creating web presentations, emails, data visualization, written content and so forth. All of the apps contained in this package are fully compatible with Microsoft Office with one difference – it’s completely free to use. There is no reason not to include Open Office in your content creation and workflow in order to boost your business’s growth. Feedly: Did you ever wonder how you can stay up to date with current content marketing trends? If yes, then Feedly is the perfect platform for you. Gathering content marketers and creators from all over the world, the tool allows you to filter and receive news, tips, guides and inspiration from all over the web. The tool will only send you what you specifically tell it to. Feedly will never spam you with content you don’t want and it will always be relevant to your content marketing needs. Just insert your favorite creators, YouTube channels, blogs and RSS feeds and wait. This is a great way to stay updated and relevant on the market since Feedly is free to use and easy to navigate and customize. Canva: Have you ever wanted to use an app that allows you the creative discovery of Pinterest and the content creation of Photoshop? Canva is one such tool that allows content marketers and creators to express their thoughts. Creating miraculous social media and online content through pre-created layouts has never been this easy. Canva is free of charge (with symbolic premium content at 1$). It allows not only the freedom to create and export content, but also network with other creators in order to stay in touch and exchange ideas. You will create content, enjoy it and best of all, it will all be useful to your business and conversion rates. MailChimp: When we talk about content marketing, it’s only a matter of time before we turn to email marketing. This is where MailChimp comes into play. Designed as a free-to-use and simple to get into web tool for email marketing, it allows us to create smart, interesting and efficient content marketing campaigns. Anyone can get into its simple and intuitive interface, meaning that content creators don’t need specialized knowledge or training to use it. MailChimp is built around reach and conversion rates, so every email you send will be tracked and evaluated in different categories. Using this platform in combination with a professional writing service such as MasterGrades will earn great results. This will allow you to further develop your business strategy and adapt your email to your potential customer’s needs. Google Webmaster Tools: Given the fact that Google has become the dominant search engine, it’s no wonder that they specialize in SEO research. Webmaster Tools is one of the apps in the plethora of free tools provided by Google in order to help content marketers create strong and competitive SEO optimization. The fact of the matter is that SEO is a must when it comes to content creation. This is simply because Google won’t show uninteresting or spam content – decided by its algorithm. So why not use this to your advantage? By using Webmaster Tools, you will be able to continually track and evaluate your content’s performance and optimization so that it becomes and remains relevant. The tool itself takes a bit of getting used to, once you grasp the concept of SEO and how it works. You will be able to reach huge audiences and create relevant content in very short time right there on the platform. Evernote: Keeping track of content you’ve created and plan on creating can be tiresome. It takes a single mistake and your complete system and workflow are compromised. This is where Evernote comes into the picture. Built around app sync and streamlined content creation, Evernote is an accessible and free-to-use content creation tool. You can create relevant and exciting content wherever you are. The app syncs everything with your connected devices and it allows you to work anytime, anywhere, for as long as you want – moments or hours. Give this tool a try if you are looking for a new and refreshing way of creating content. It’s completely free to sign up and use, although it allows premium services if you end up needing them. Word2CleanHTML: While not all of us are programmers, it doesn’t mean we can’t use basic coding. 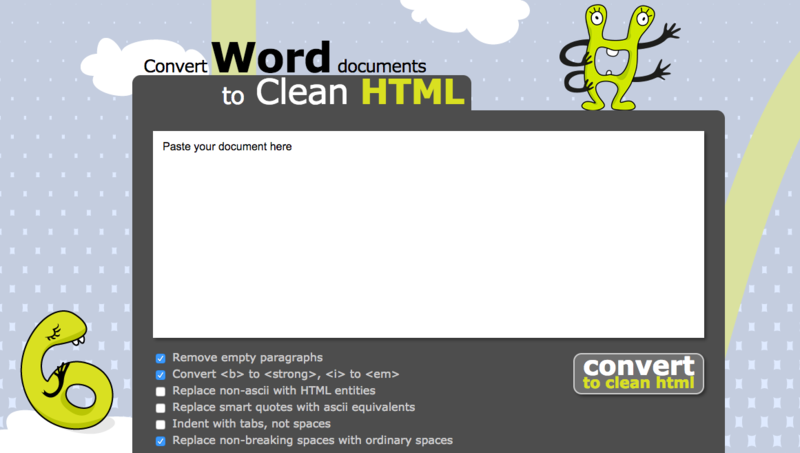 Word2CleanHTML is a tool that allows you to turn text files into clean HTML code, just like the name says. You may be shorthanded or in the middle of learning WordPress yourself. This tool allows you to create and insert coded text that’s ready for publishing with a click of a button. Like all tools on our list, Word2CleanHTML is free of charge and very easy to use. Why not give it a go if you’re in need of HTML optimized content creation. Blog Topic Generator: Being a content creator isn’t easy. You always have to be inspired and full of ideas in order to create relevant and exciting new content for your audiences – but sometimes you just can’t think of anything. This is why tools such as Blog Topic Generator can come in handy. By inserting a couple of relevant words that you feel like writing about, you can generate a surprising new idea to write about. The tool is very easy to use and you can create multiple combinations of topics in order to find what works best for your needs. All you need is a few nouns and a minute of your time. Coffitivity: While not a content creation app by itself, Coffivity is an interesting tool that can greatly boost your inspiration and productivity. By simulating white noise and sounds of a coffee shop (among others), this tool aims to target your brain waves and boost your brain activity tremendously. Coffivity helps with your overall productivity and keeps you focused on the task at hand, allowing you to create useful and original content. The tool is free to use and will transport you to your favorite coffee place in a matter of moments. Hemingway App: One of the best grammar and revision tools out there, Hemingway App is built around fast and easy text correction. You will work under strict deadlines and high expectations more often than not, and this tool is built for those exact purposes. It allows you to revise articles, blog posts, email content and any other type of written word. Content marketers are well aware of what dangers a typo or faulty grammar can cause in your customer’s eyes. Don’t fall into the trap of creating content without any revision tool at hand. Hemingway App is free to use and available to download so it’s always available for use. Visme: More often than not, your content will need some kind of visualization in order to be more appealing. Presenting raw data and hard facts is all well and good, but showing it in an accessible and simple-to-understand way is another matter entirely. The tool is completely free to use and simple to get into. Be prepared to see the Visme logo on your created content if you don’t upgrade to Premium. Even so, the tool is essential to any business that wants the world to know more about their empiric data and use these numbers to their advantage. Thing Link: With images and video becoming more and more dominant in content marketing, it’s important to know how to implement these useful trends. Thing Link allows you to annotate and connect your content across the web through simple hyperlinks. The tool is free to use and comes with premium options if you choose to go crazy with your content and develop your own content brand through Thing Link. For most users, though, the free license account will do just fine. The apps and tools listed above will not only make your content relevant but also open new and exciting venues for content creation. Keep in mind that you will always have to tailor your content to the market and audience needs, and these tools will be the perfect way to do just that. Always be on the lookout for new possibilities in content creation, because trends change, and so do the methods of creating and delivering relevant content. Thank You. That’s a great post. Will definitely try it.